One of my favorite narratives on zucchini is from Barbara Kingsolver’s ‘Animal, Vegetable, Miracle’ where, when faced with a unrelenting crop of the green squash, she devises many ways of using up the abundance them in her prolific garden. I could completely relate to Barbara’s dilemma (if you can call an abundance of food a dilemma), and I, as a gardener, fully understand a zucchini’s capability to turn into a baseball bat practically overnight if overlooked on the vine. Fortunately, I have a strategy to help me maintain the upper hand during the Great August Zucchini Invasion: Zucchini Bread. Around here this humble loaf is a favorite snack for the kids, a bake-sale best-seller, and alongside a tall glass of milk, has made it’s way into our ‘Guilt-Free Non-Suppers‘. 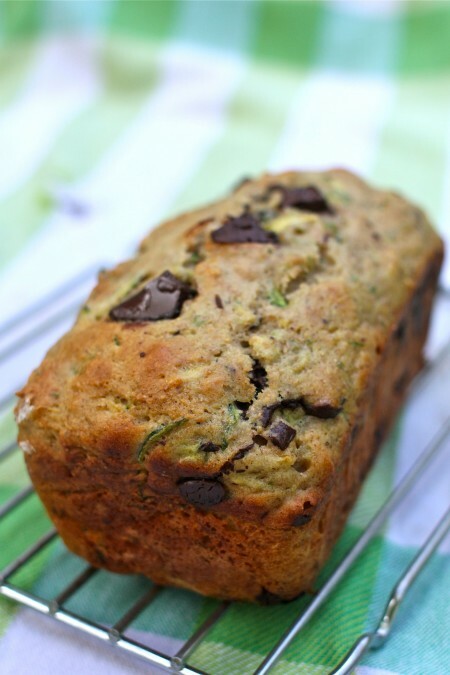 Now some of you probably think that you have the best zucchini bread recipe, others perhaps have never found a recipe they liked, –and chances are a few of you are thinking: “Zucchini? Bread?” And to all of you I say, I hope someone has shared their zucchini crop with you, because you’re going to want to make this recipe! 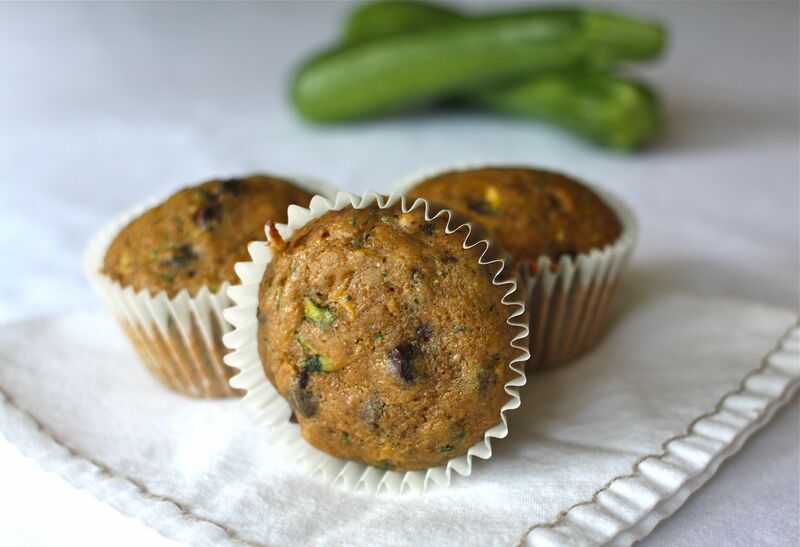 If you remember, I brought you the best muffin ever (which is still making new converts every day), so believe me when I say I have done my homework for this zucchini recipe. 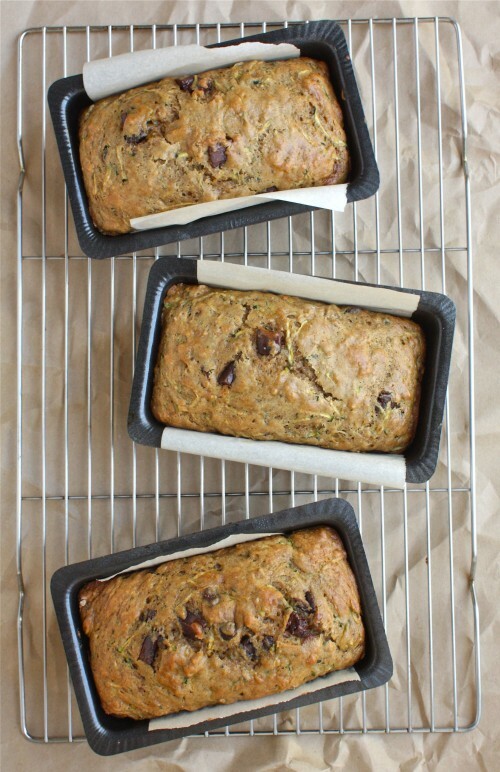 What should (or shouldn’t) perfect zucchini bread be like? Here are a few qualities I like to see. Without question, the recipe below embodies all of them. Hint: don’t expect the zucchini to contribute any of this. 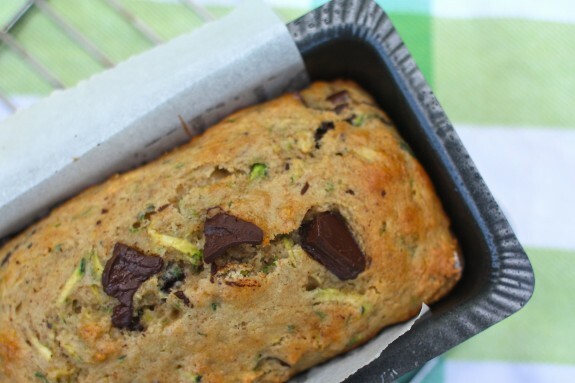 Nope, zucchini bread relies on added flavorings to make it memorable. In this recipe, fresh ground cinnamon, nutmeg and dark chocolate chunks provide everything we need. The inclusion of full-fat yogurt ensures our loaf stays as moist as can be. I also don’t squeeze the liquid from the grated zucchini as it add necessary moisture. Sweet breads have a tendency to be pasty. Yep, and even gummy. Thanks to the addition of whole-wheat flour, you can safely enjoy a slice of this zucchini loaf knowing it’s not going to latch onto the roof of your mouth in a desperate attempt to avoid being swallowed. A winning zucchini bread recipe should be able to easily morph into many shapes: cupcakes, mini-loafs, or muffins. It should also lend itself well to freezing. This recipe does it all. I'm including plenty of alternative ingredients in parenthesis, because although the original recipe is the very best it can be, I want you to be able to work with what you have on hand. Preheat oven to 350°F. Oil a 9x4 inch loaf pan and line with parchment paper. Line a 6-cup muffin tin with papers OR oil a mini loaf pan. In a bowl, sift together dry ingredients and set aside. In a large bowl, beat eggs until foamy; beat in yogurt, buttermilk, oil, sugar, and vanilla. Combine well. Stir in grated zucchini and chopped chocolate. Fold flour mixture into the wet ingredients and stir until combined. Spoon batter into 6 muffin cups (or mini loaf pan) and pour the rest into the 9x4 loaf pan. Bake for approximately 50 minutes. Remove from oven and cool 10 minutes in the pan. Loosen the sides and remove from pan. Cool loaf completely before cutting. Use the very best ingredients possible. I cannot emphasize this enough. If you set out to make the best zucchini bread recipe ever, but use rancid flour and stale spices, well, you're not going to get the same result as I did - and it certainly won't be the best ever. Use small to medium sized zucchini. If it's longer than your arm, don't bother, it will be tough and dry. If you must use these kinds of massive zucc's, halve them lengthwise first and remove the seeds with a spoon. Discard or compost them and grate the remainder of the zucchini for your baking. Don't skimp on the chocolate (but feel free to use chocolate chips). Have ingredients at room temperature. You don’t have to wait for zucchini season to roll around to enjoy this bread. It is possible to freeze grated zucchini so as to have it available whenever the baking mood strikes. To freeze zucchini, first wash them, trim the ends and then simply grate them on a box grater. Package in 1 or 2-cup portions in freezer bags or freezer containers. Remove as much air as possible from the bag by smoothing it with the back of your hand from bottom to top and quickly sealing the bag. Freeze flat. Is zucchini bread a favorite in your home? What’s the best way to make this recipe gluten free without compromising the taste? We love the recipe as is at home but I wanted to make a separate batch for my son’s class and there is a gluten restriction. Made 2 mini loaf pans and 16 muffins. Didn’t quite measure out even, 40mins. I think that amount of bake-time might’ve been too long by about 10mins, but the flavor is GREAT!!!!! I am not a fan of whole wheat flour. Have you tried full white flour in this recipe? Hey Aimee, I just came into a pile of zucchini from my friends garden! I’ve cooked and baked with it, but have frozen most of it using your method. I am wondering about using the frozen zucchini… Do I use it directly from frozen? Should I thaw it first? Should I drain or squeeze any excess moisture out of the thawed zuch? I can’t believe I am only JUST discovering baking with zucchini! Can’t wait to try this bread.